Weekend Walks are multi-block, multi-day events on commercial corridors that promote the use of streets as public space. 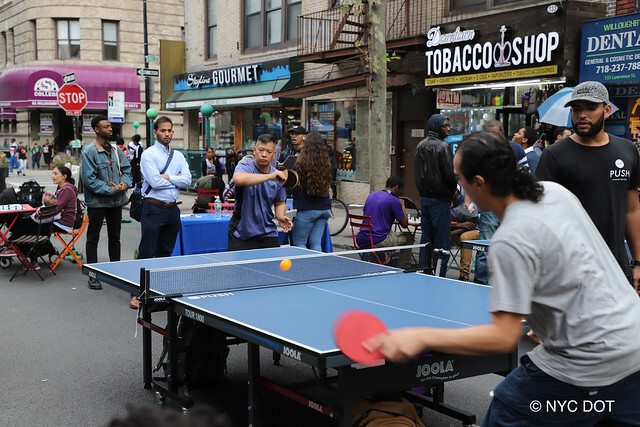 Community based organizations apply to close commercial streets and provide programming that highlights local businesses and New York City’s unique neighborhoods. Business improvement districts, cultural organizations, local merchants associations and community groups host Weekend Walks as a fun way to highlight local businesses and neighborhood resources. They create wonderful opportunities for New Yorkers to gather and see their neighborhoods in a new way. More information about 2019 events can be found on the Find Weekend Walks page.